Robert has a wide range of expertise in commercial, corporate and contractual disputes. He has particular experience in professional negligence claims and insurance matters and regularly acts for both public and private sector clients. Robert has also built a strong reputation providing advice in relation to judicial reviews. Robert has represented clients in a number of high profile claims at all levels of the judicial system, including the Court of Appeal, Supreme Court and European Court of Human Rights. Engineering company – dispute relating to the provision of seismic services giving rise to a multi-million pound claim. Major supermarket – substantial dispute relating to the repudiation of an insurance policy. Various – shareholder and partnership/LLP disputes. Advising NHS Trusts in relation to a range of contractual disputes, including (for example) a mental health Trust in a multi-million pound dispute arising out of an outsourcing agreement for IT services. National housebuilder – judicial review relating to the law of village greens to the Supreme Court. Representing Nottingham City Council in a major judicial review regarding its Building Schools for the Future scheme. Schools/Academies – various matters, including proposed closures and alterations to schools. o Advising an NHS Trust in judicial review proceedings arising out of a decision to close a mental health hospital in York. o Advising an NHS Trust regarding a threatened judicial review of its decision to construct a new hospital. o Robert regularly advises Trusts in relation to their decision making processes when reducing or altering service provision. Acting for the Care Quality Commission successfully in relation to a number of judicial review claims. Regularly advising NHS bodies (CCGs and NHS Trusts) in relation to “Continuing Healthcare”. Various – claims relating to infringement of registered and unregistered trademarks. Oil industry client – in multi-jurisdictional dispute involving misuse of confidential information, patent infringement and patent rectification claims. North East engineering company – misuse of IP, and confidential information. Robert frequently advises NHS Trusts in disputes with PFI companies and construction sub-contractors, including in adjudications and High Court proceedings. Advising on operational matters arising out of PFI arrangements, including in relation to the rights and remedies available to the Trust under the terms of the standard PFI Agreements. 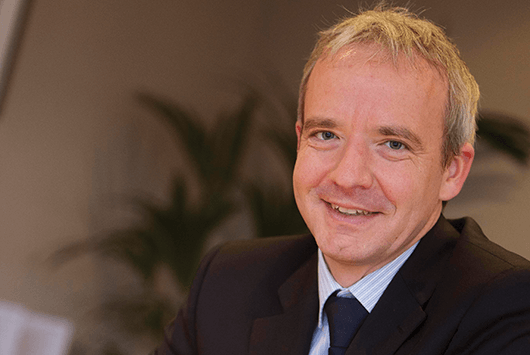 Robert’s experience includes the recovery of substantial (multi-million £) sums for NHS Trusts arising out of construction defect and service level failure claims. Acting for a national bank in relation to various property-related negligence and valuer claims. Acting for a property development company in relation to the negligent drafting of a development agreement. Acting in a claim against solicitors in relation to advice provided on the sale of a substantial business. When my husband and I sold our business we were misadvised resulting in multi-million pound losses. Robert took on a professional negligence case against the firm of solicitors who had acted for us on the sale. The claim was not straightforward but Robert handled it expertly, guiding me through the process. The claim ultimately settled at a mediation. I was very pleased by the outcome and would without question recommend the services of Robert and his excellent team. "Very on the ball, calm and charming." "Robert Glassford is a highly rated commercial litigator who is particularly noted for his handling of judicial reviews, professional negligence matters and insurance disputes. He is also active in a range of healthcare disputes." "Robert Glassford is highlighted for his 'speedy, pragmatic and unambiguous advice'." "He is noted for going the extra mile for his clients." "Very commercial and very approachable." "Robert Glassford is praised by sources for his 'tenacious, highly inspiring and results-driven' approach." "A hugely committed litigation partner."